This trendy and gorgeous Zentrum 450mm Basin, exclusively created by VitrA, will glamorize your bathroom with its appearance. 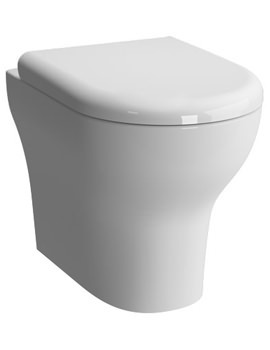 The durable creation, crafted from premium quality ceramic, provides unhindered long-term use. 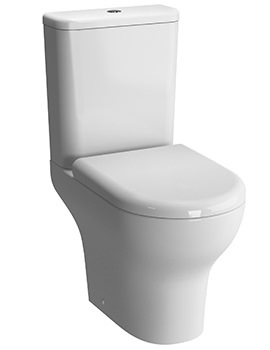 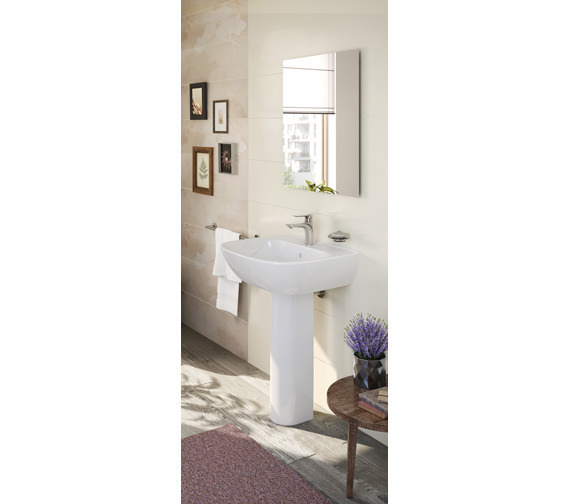 This bathroom adornment in milky white finish features a full pedestal that conceals the unsightly pipework, giving a tidy look to the area. 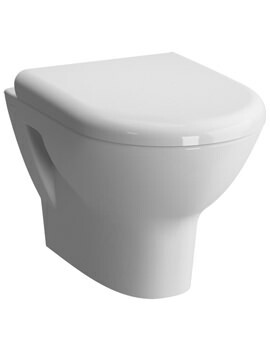 It includes an overflow and a partially drilled tap-hole, for your convenience. 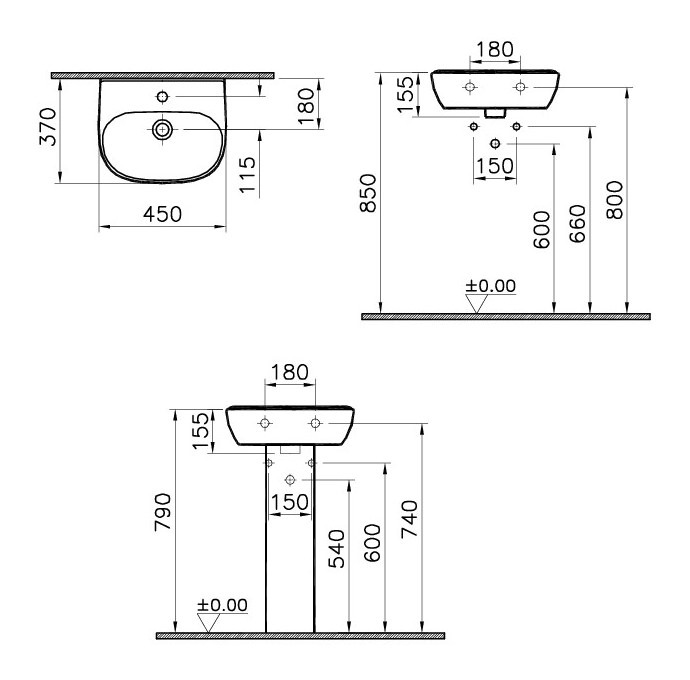 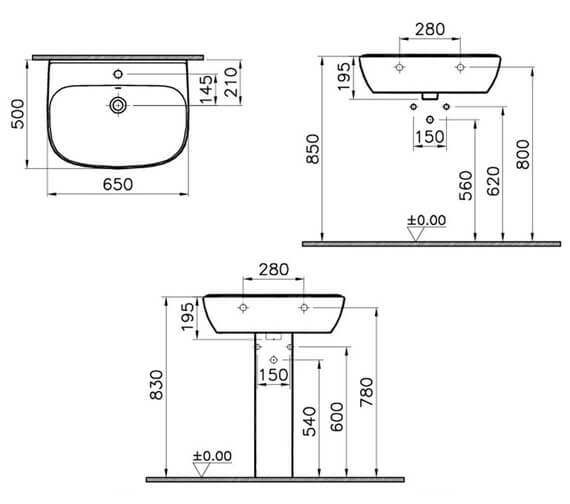 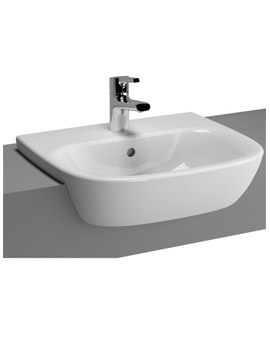 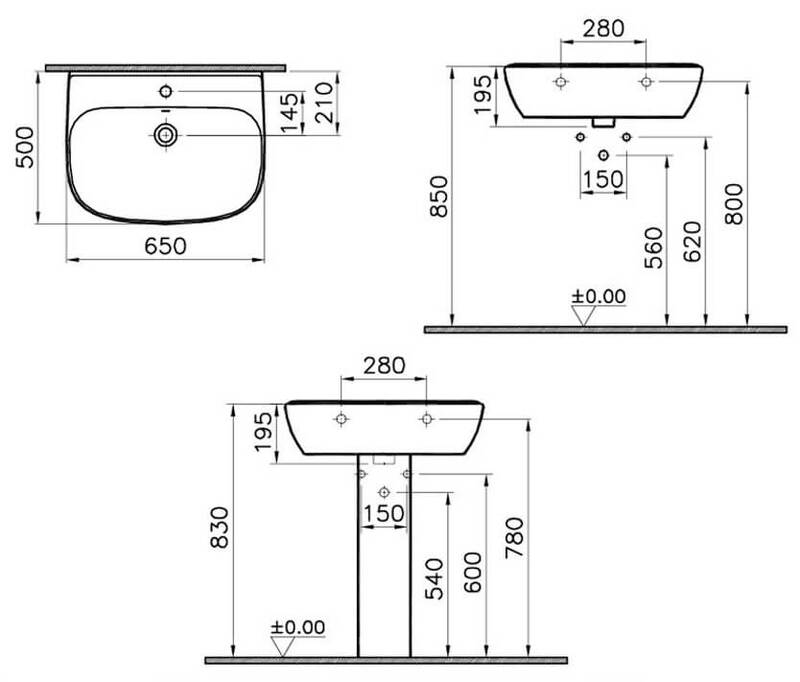 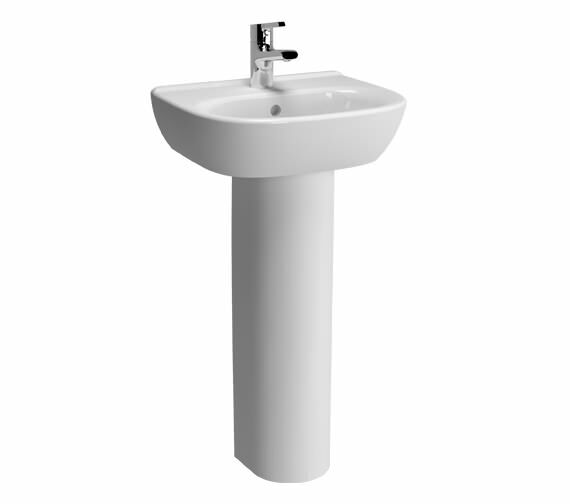 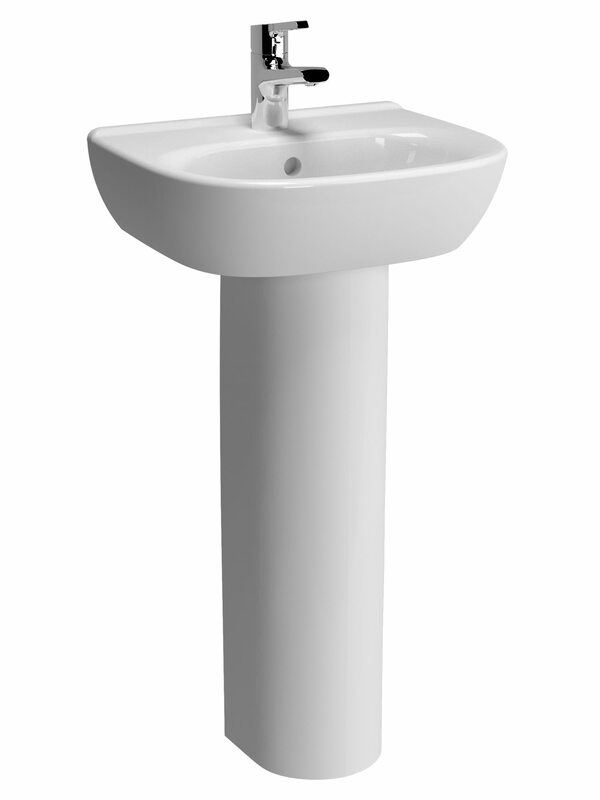 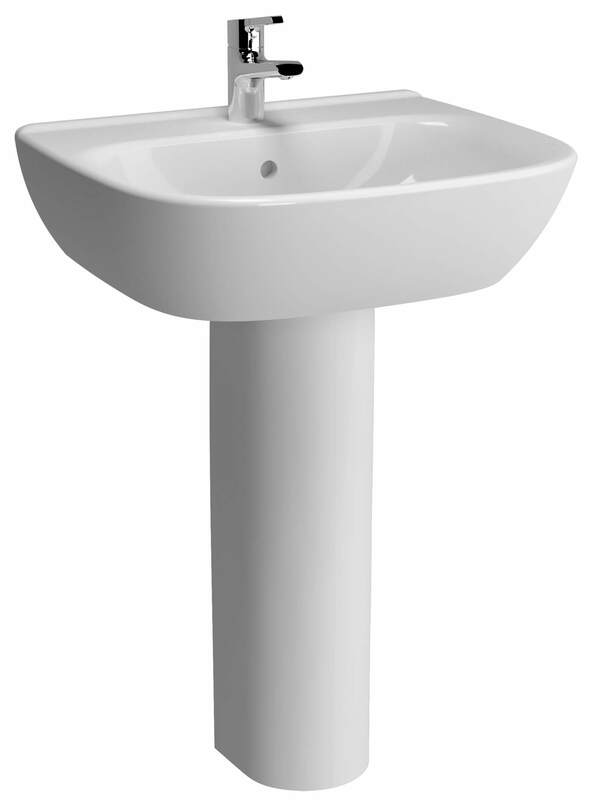 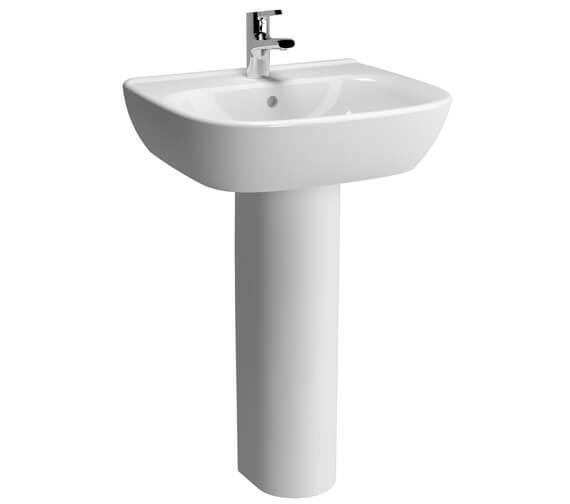 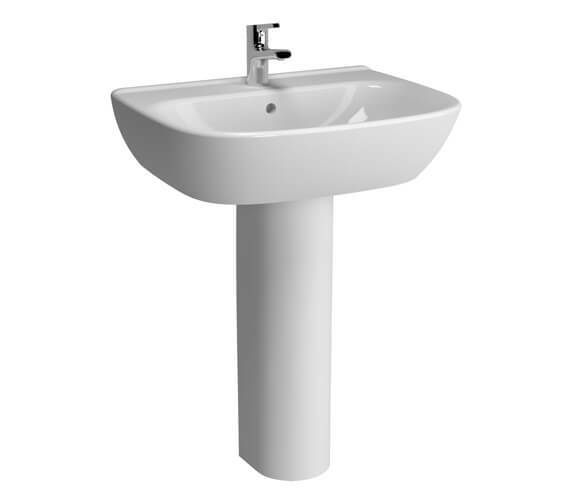 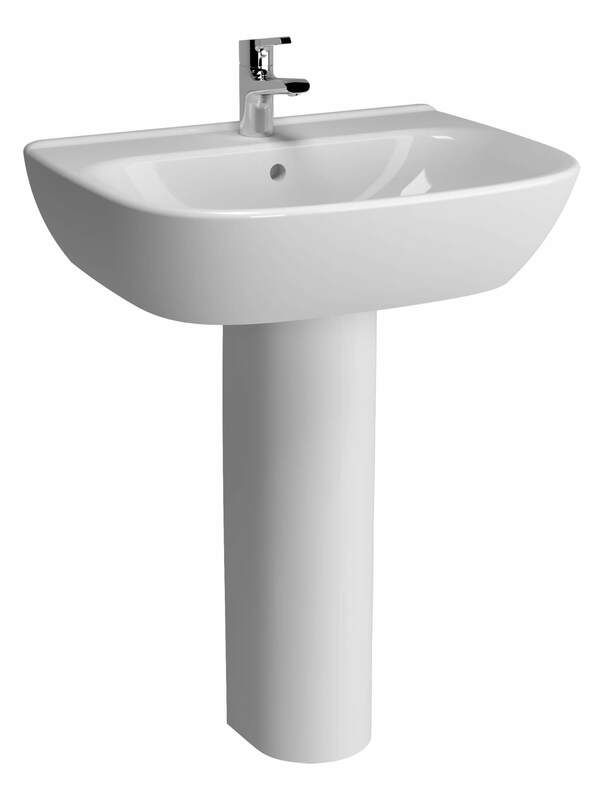 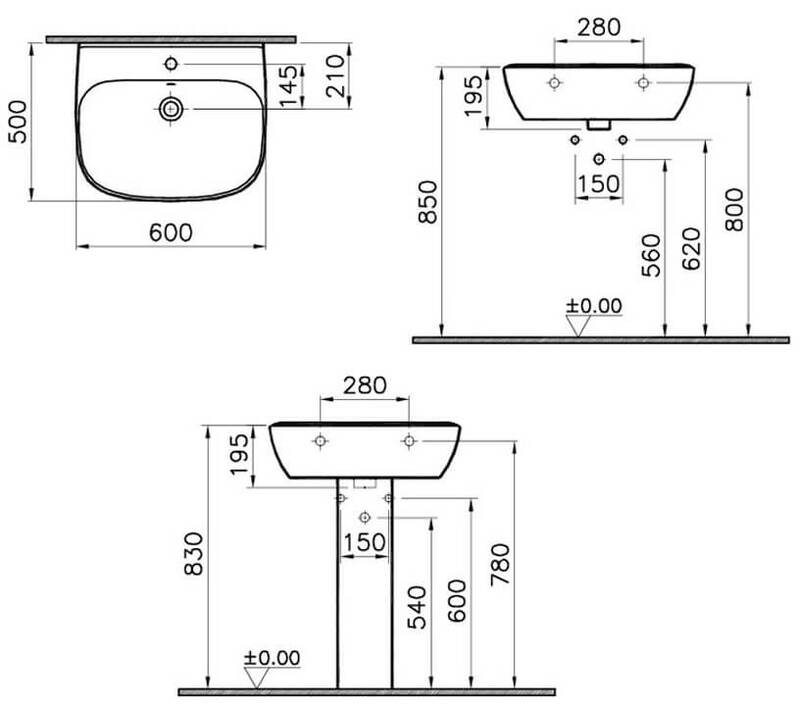 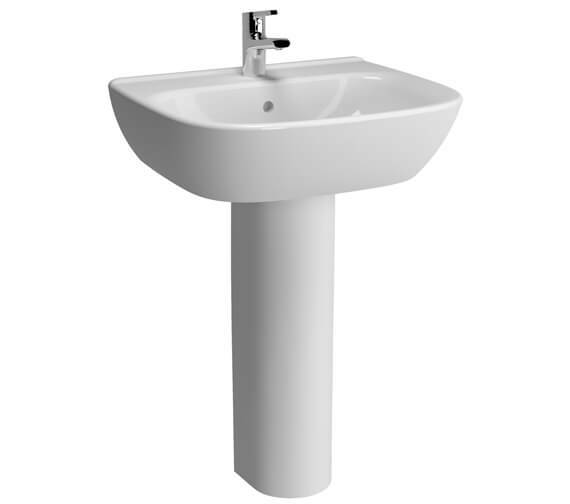 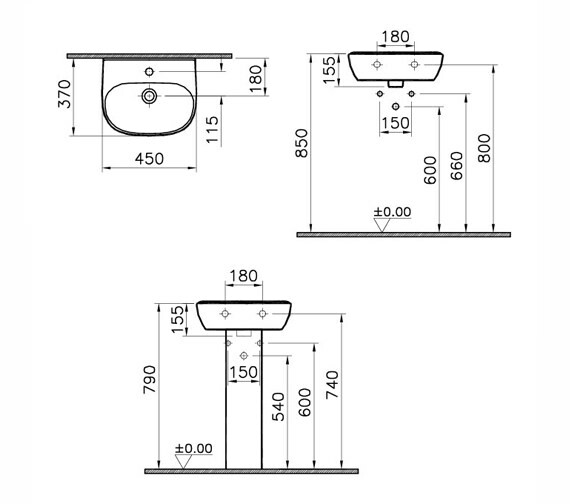 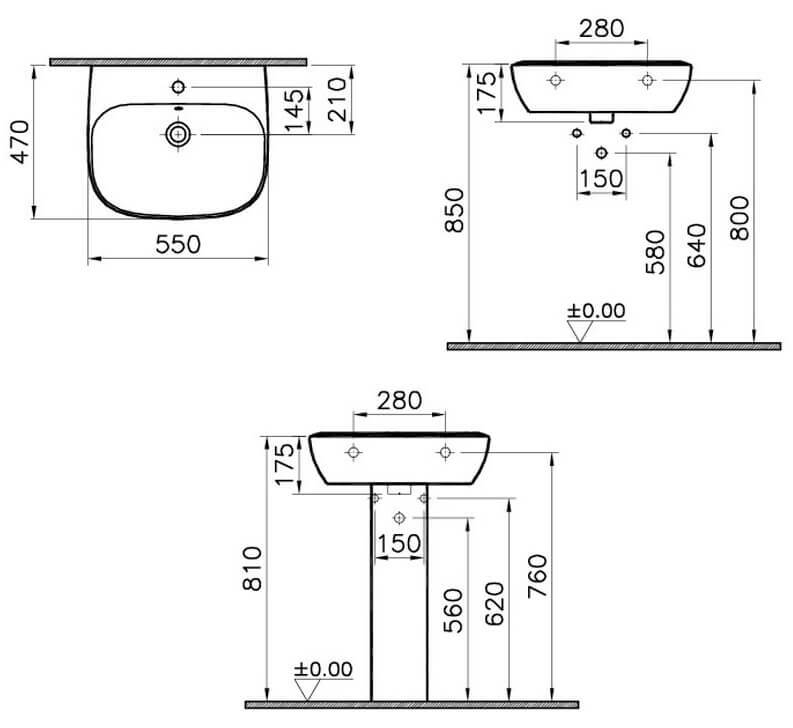 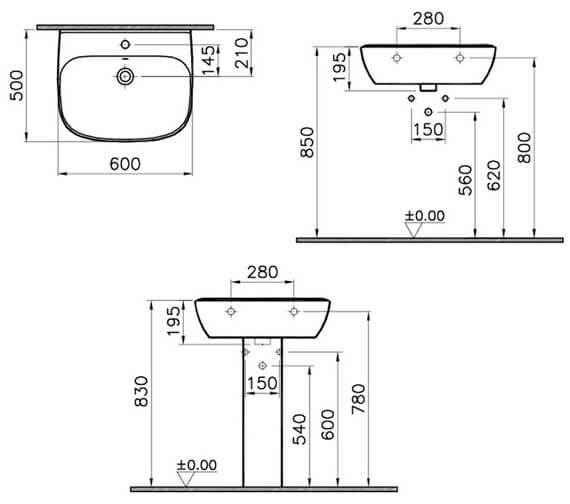 Easily installable, this basin is covered with ten years of guarantee from the maker. 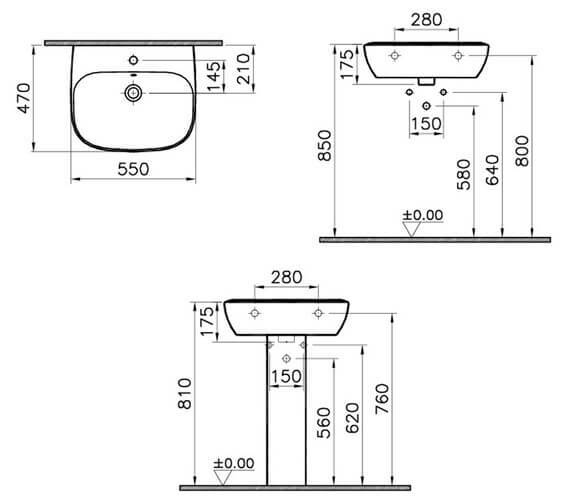 [W] 650mm x [D] 500mm x [H] 195mm- 5634L003-0001.